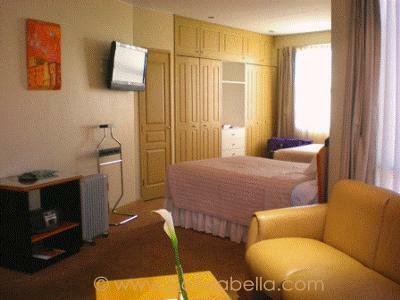 The Casa Grande Hotel in La Paz Bolivia is well deserving of its 5 stars. 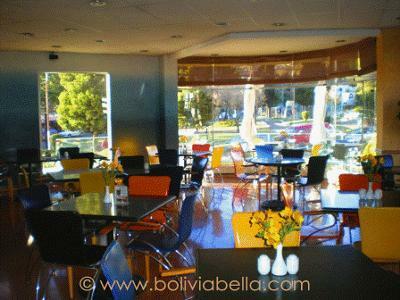 The hotel is located in the city's lively and modern Zona Sur (southern zone). At several hundred meters lower than downtown La Paz, the weather is slightly warmer and oxygen levels are slightly higher. The Casa Grande, on the corner of 17th Street and Av. Ballivián, is just blocks from dozens of excellent restaurants and cafés, grocery stores, stores and shopping malls in the Calacoto and San Miguel neighborhoods. It's also just minutes from the Megacenter, a large movie multiplex and shopping mall in the Irpavi neighborhood. The hotel apartments are airy, well-lit and roomy with dining and living room areas, spacious bathrooms and closets, large and comfortable beds, and kitchenettes. All rooms are equipped with free WIFI internet, plenty of plug-ins, phones, cable TV, refrigerators, small stoves (no oven), microwave ovens, alarm clocks, and iPod chargers. You'll be greeted with a fluffy robe on your bed the first day, a bottle of water and chocolate on your turned-down bed each night, a fully-stocked mini-bar and an rubber ducky and amenities in your bathroom each day. You'll also find a newspaper is delivered to your door each morning. 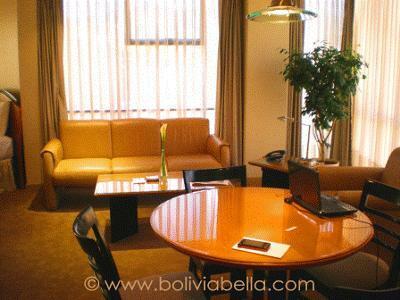 The hotel also has a gym and a business center equipped with computers, a fax, a copier and a scanner. If you find the extremely dry air in La Paz makes it difficult for you to breathe comfortably, they also have humidifiers and oxygen tanks. The hotel also has a small luggage storage room, and a small gift shop. 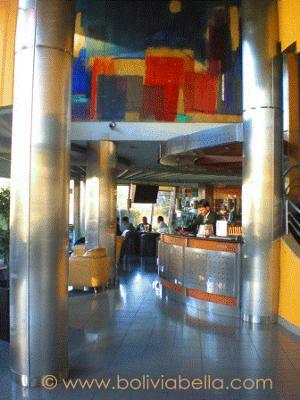 The hotel lobby is large and comfortable with a pleasant bar area where you can enjoy drinks or tea. The small Mezzo restaurant, on the same level, serves very good food either indoors or outdoors under the sun. A buffet breakfast is included in the price of your room. What stands out most at the Casa Grande Hotel is the staff, who are extremely well trained. Everyone from the doorman to the desk personnel to the housekeeping staff will greet you by name each time from the first day forward. Every door is opened for you, every request is quickly attended to, and everyone seems to genuinely enjoy their jobs. Some speak English, all work in a very professional manner, and smiles abound. I spent a week at the Casa Grande in May 2011 and couldn't have been more pleased. The level of service is far and above the best I've experienced in Bolivia in a very, very long time.